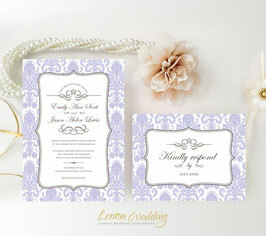 Our graceful Damask wedding invitations will effortlessly match your timeless wedding day. 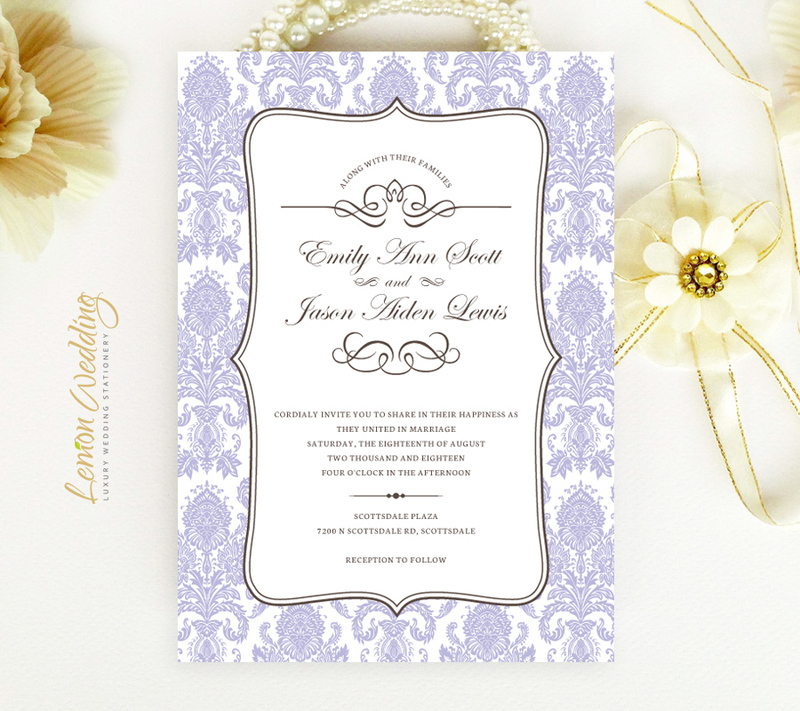 Decorated with a Damask printed border, our beautiful invites will inform your guests of the details surrounding your unforgettable day. 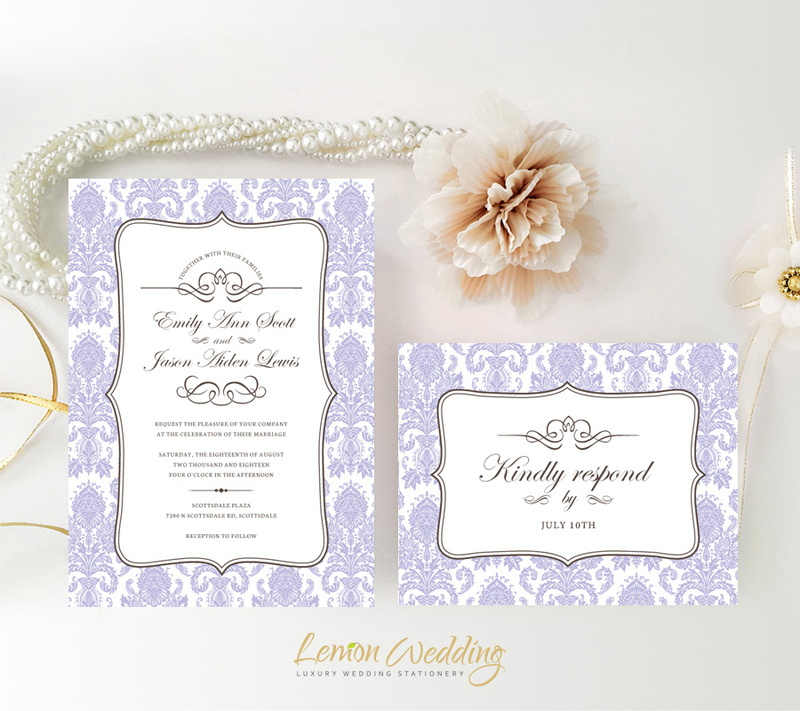 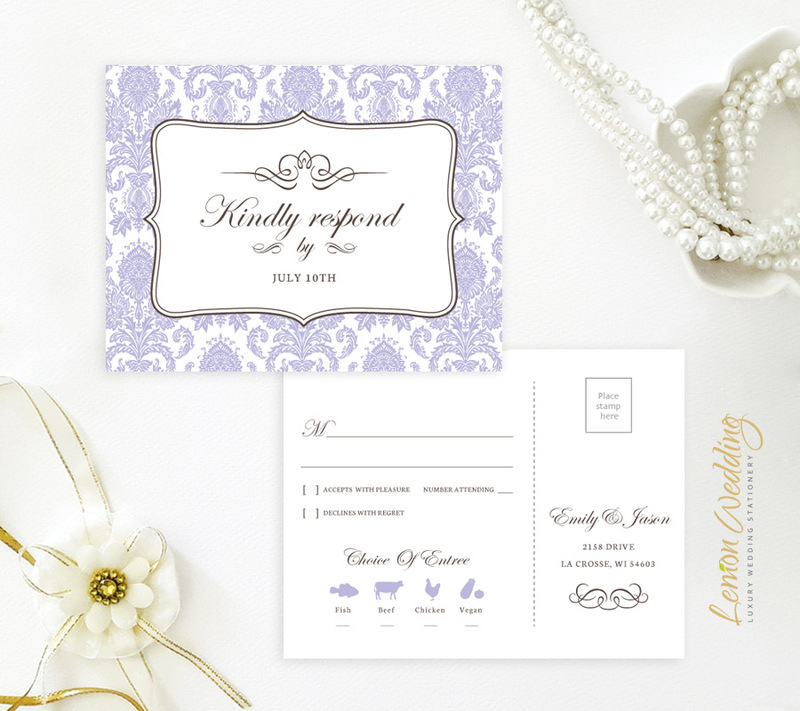 Our wedding invitation set includes chic wedding invites and RSVP postcards printed on premium paper finished with refined font.